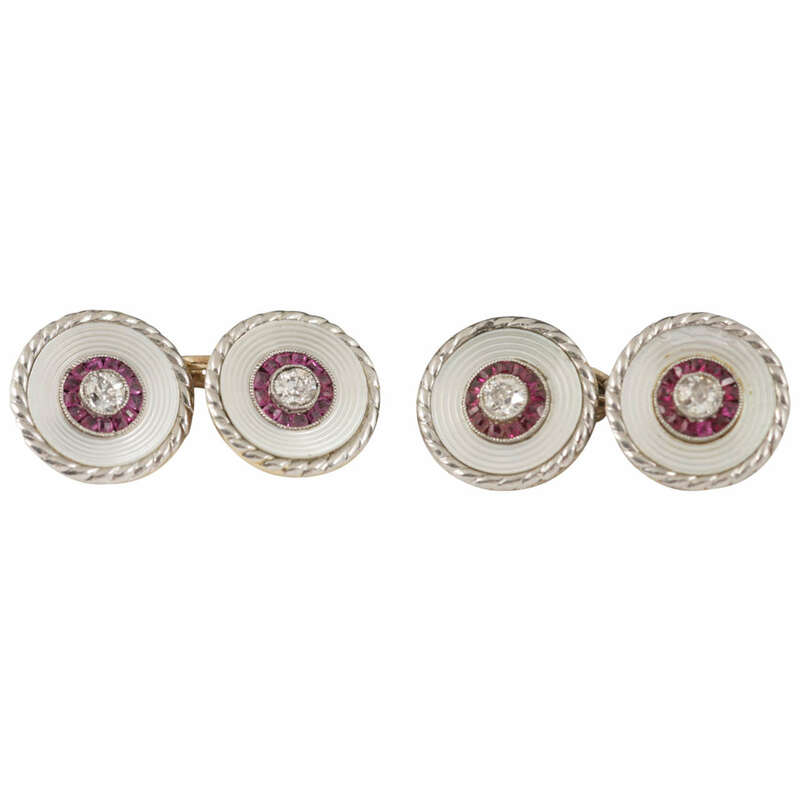 Pair of Edwardian Burma ruby, gold, diamond platinum cufflinks and two studs, platinum border, circa 1910. 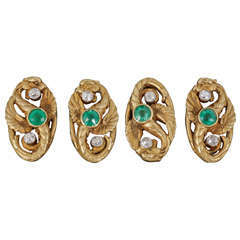 Pair of Edwardian 18kt gold diamond emerald dragon cufflinks, circa 1900. 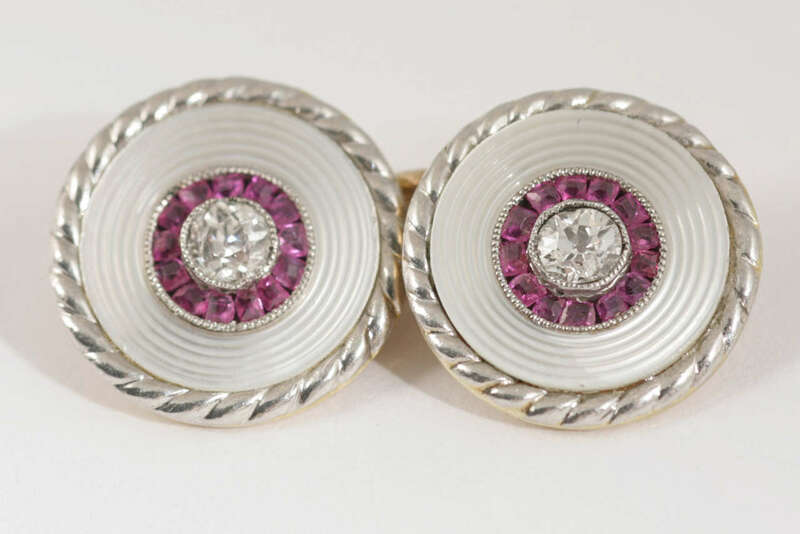 Pair of platinum and yellow gold mounted baguette cut diamond cufflinks with black enamel lines. USA, circa 1930. 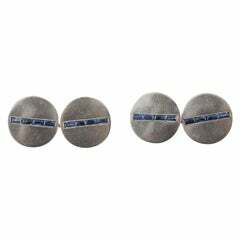 Platinum and gold cufflinks, each set with four French cut sapphires. Edwardian Platinum and 14ct Gold links with 9ct Gold connections.